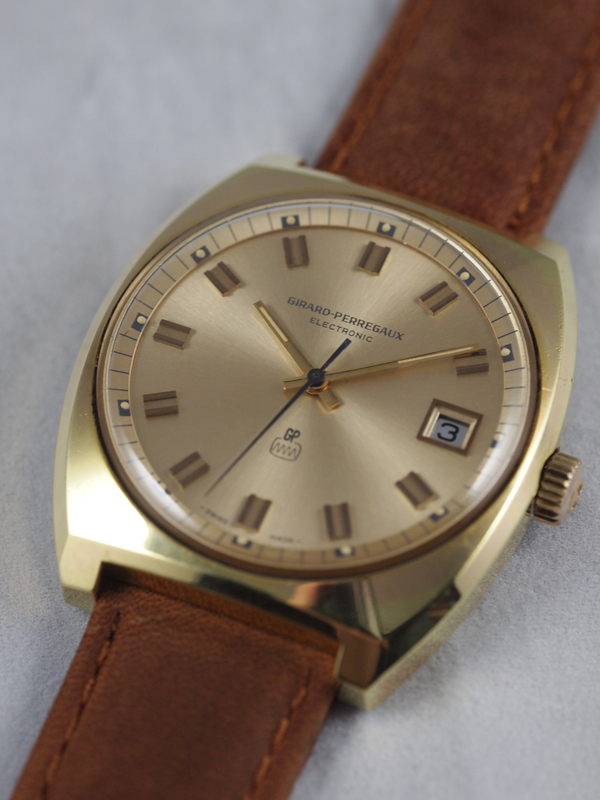 My fascination with short-lived technological transition pieces continues with this Girard Perregaux Electronic. 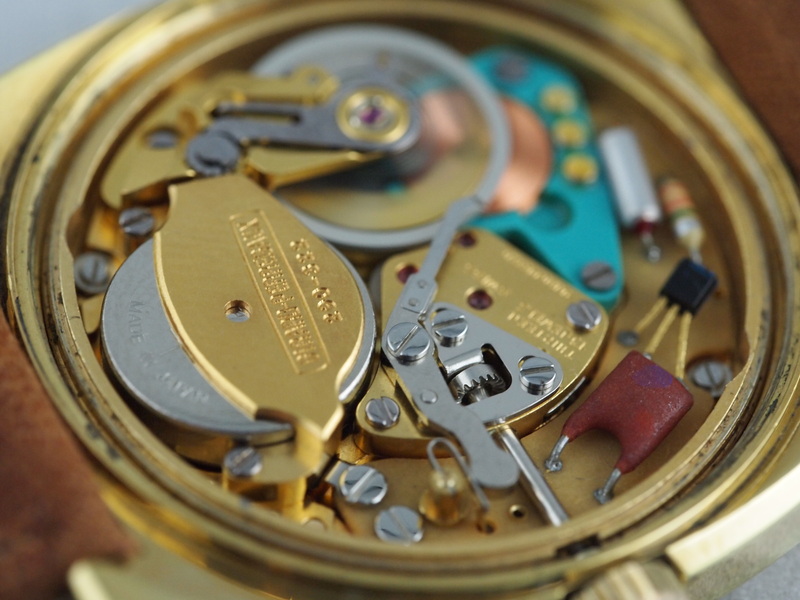 Unlike the original Hamiltons, the electronic movements designed by this maker (ESA) that came out in the 70s were easy to service, robust, and way less temperamental. They also have a much higher beat rate than their predecessor. At 28,800 vph they run accurately and unbelievably smooth. It also comes with a crude but efficient hacking mechanism. 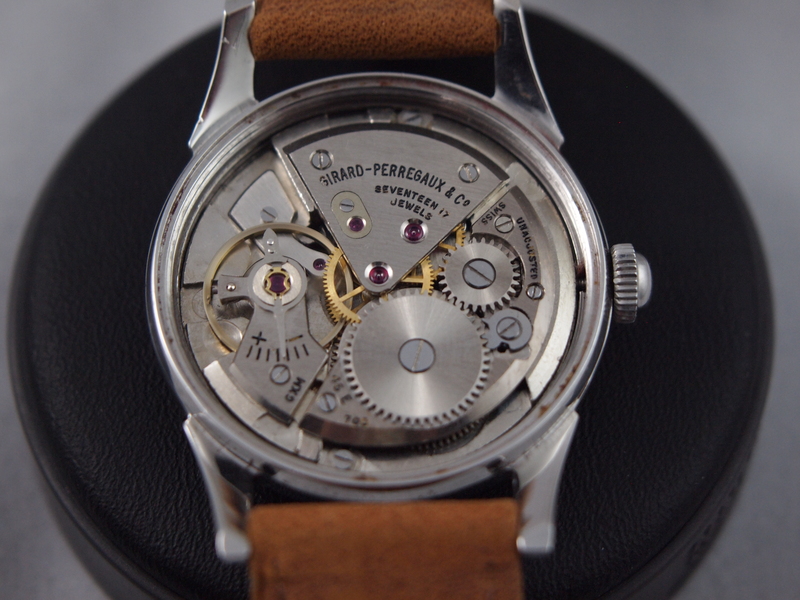 One interesting thing about these movements is that the gear train must fit into a seemingly small portion of the movement in order to accommodate the electronics and the coil. It was a relatively straightforward service, but a fully enjoyable one nonetheless. Generally when I work on a movement for the first time, I try to get one that is in running condition. In my conversations with many hobbyists who became quickly frustrated with the craft, the common thread was that they made the choice to buy broken movements and learn from there. The problem with this approach is that it is difficult to diagnose why something is not working if you have not taken the initial time to learn what makes it work, and how to properly take down, clean, and assemble a movement. The advantage to starting with a running movement is that you know that if you did everything right the piece will tick when you are done. That was my hope with this one. 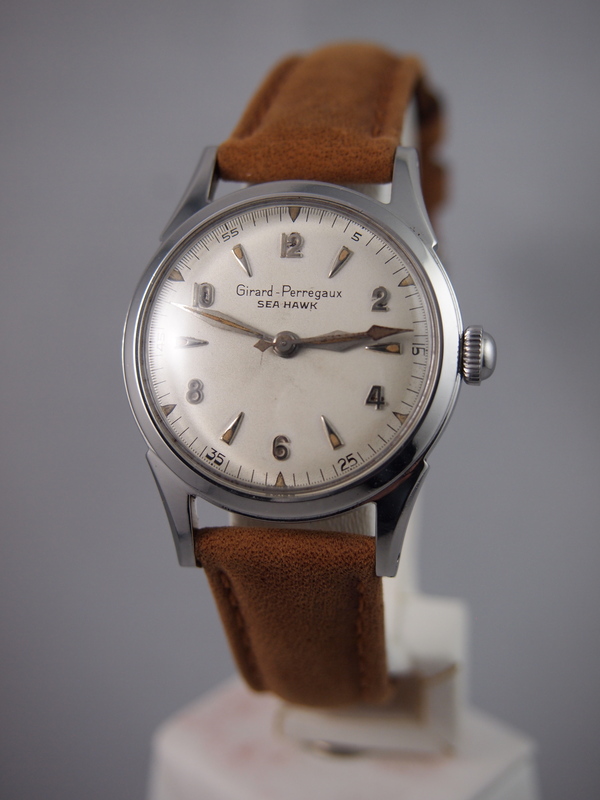 I bought this watch as just a head in “working order.” Once again, a victim of believing everything you read in an eBay description, I found that while this watch was in absolutely pristine condition externally and on the dial, the electronics didn’t seem to want to work. I also noticed immediately that the circuit insulator had blistering on it from heat. 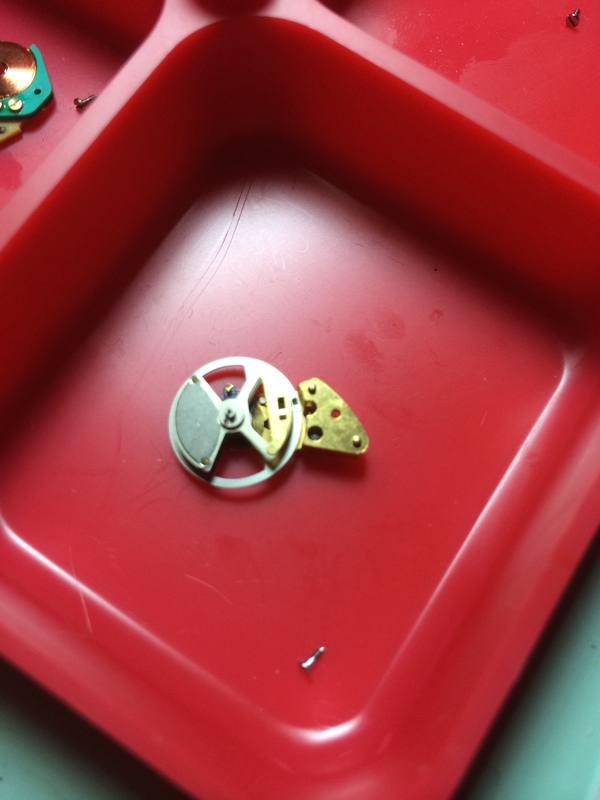 Fortunately the ESA 9154 was a commonly used movement (unlike the super rare ESA 9176 which I am dying to get my hands on) and so I was able to get a harvester movement for at least the circuit insulator. 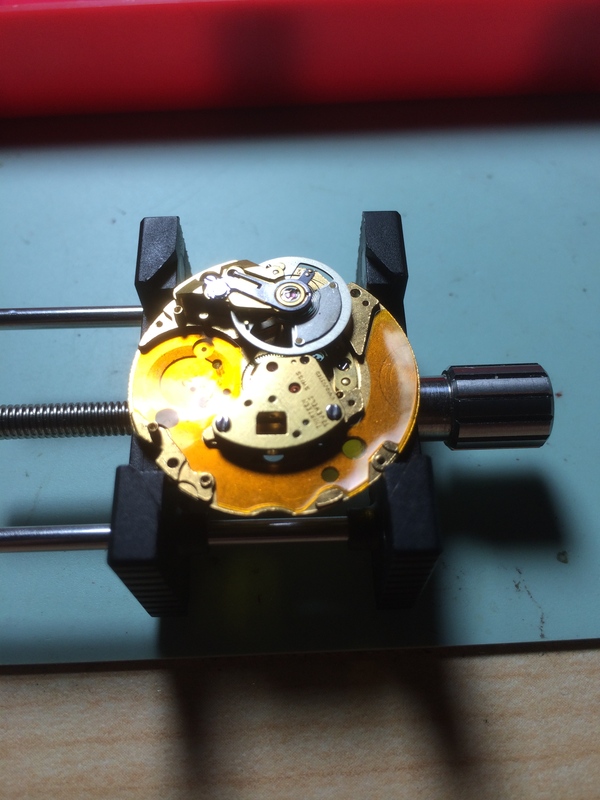 Next I set about disassembling the movement. 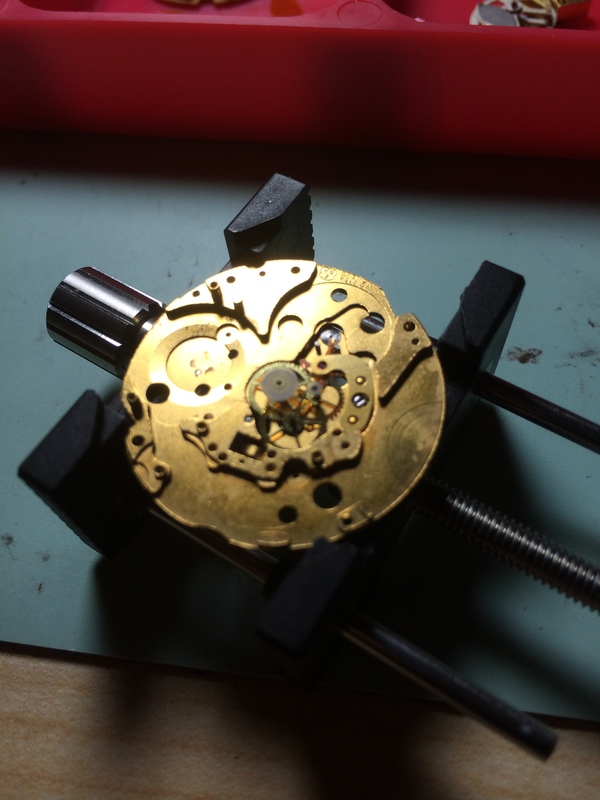 While the electronics in these are a bit of a mystery to me, the rest of the mechanism is like any other watch, and so I took it all apart, cleaned everything (other than the electronics of course), gave it an inspection, oiling and reassembly. I then did what I assumed would be a logical step which was to inspect the coil for any defects or dirt. When I found none, I proceeded to put the whole thing back together (with the new circuit insulator) and with a fresh battery it came back to life. 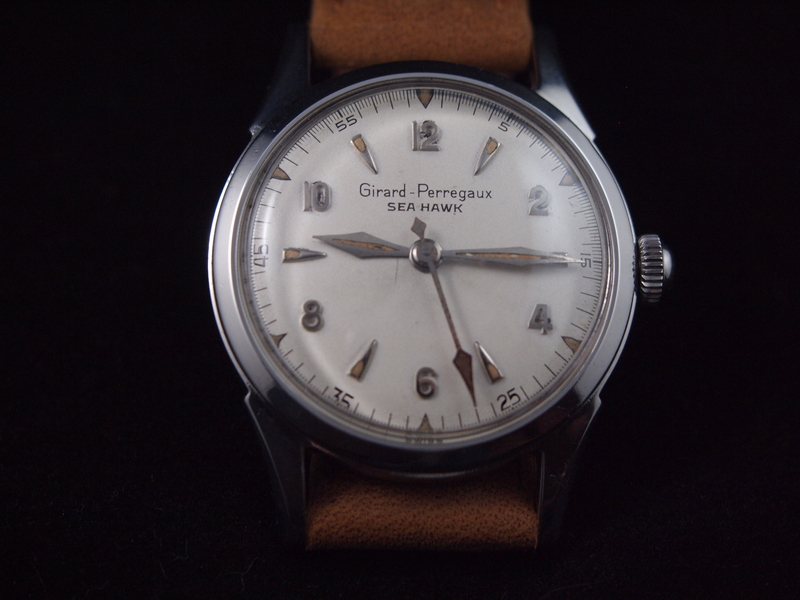 I am unsure entirely why, but I love the balance on this watch. 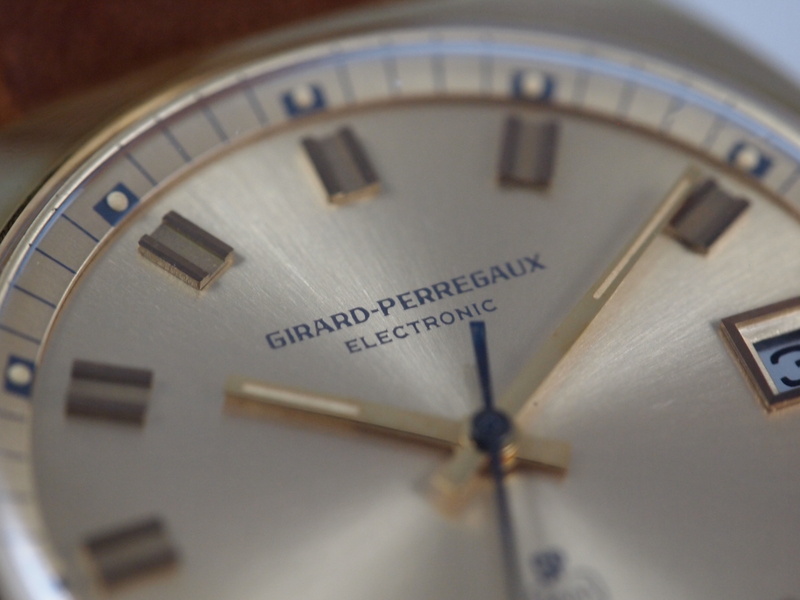 Its construction so perfectly encompasses classic and unchangeable balance elements with modern technology. 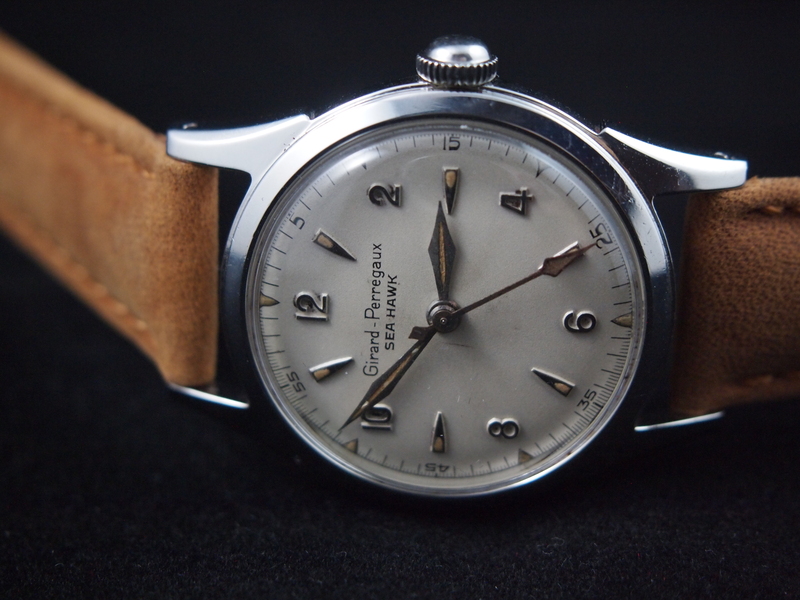 It feels much more like a balance wheel than the Hamilton electric balances, and is much cleaner aesthetically. 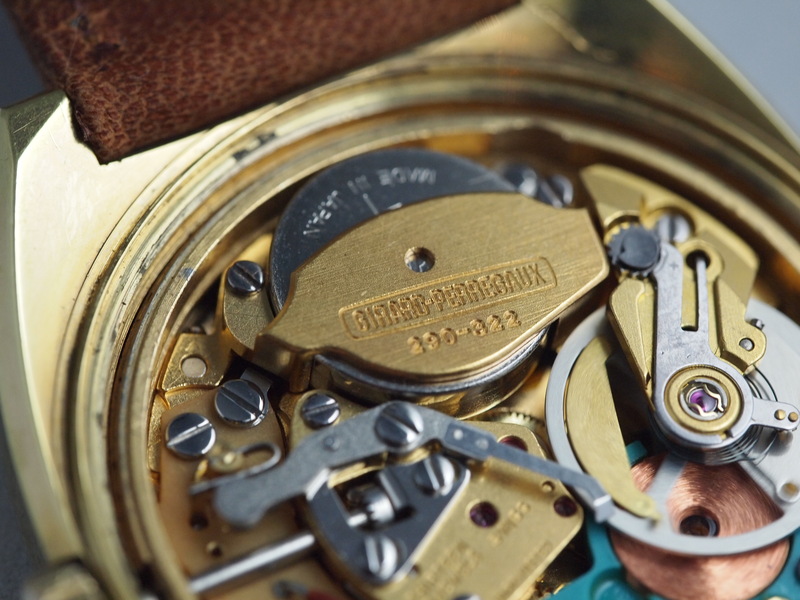 The movement of this balance wheel is also mesmerizing. 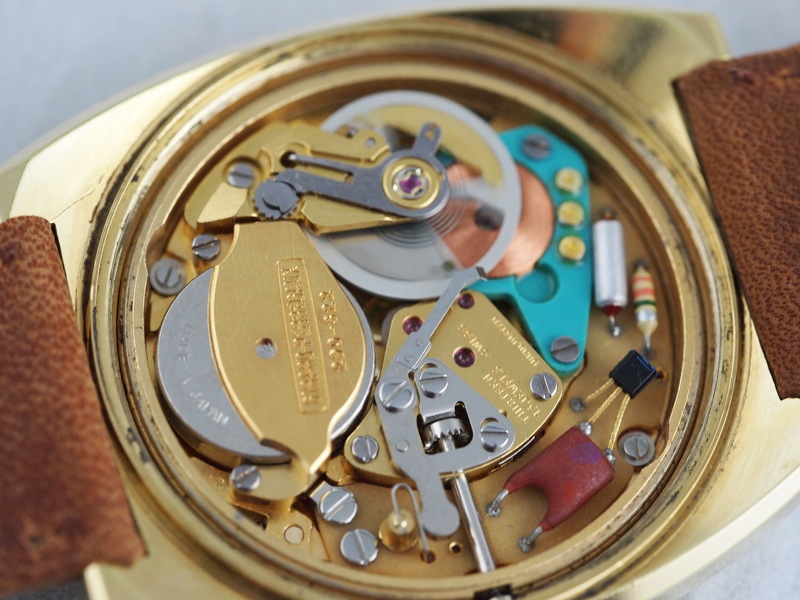 The only odd problem with this movement is the absence of a quick release for the stem. 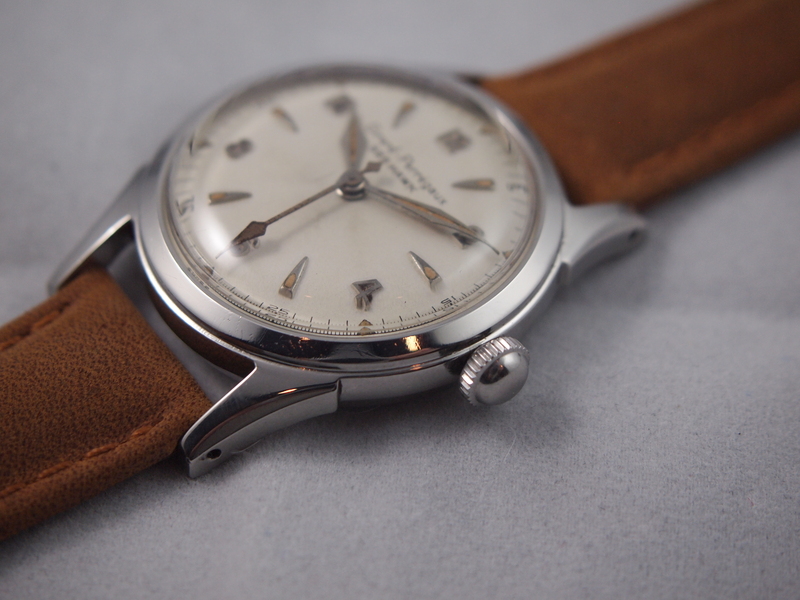 It was quite a procedure to take out the stem, fit the movement in the case and then refit the whole works. Other than that though I love this movement. It runs super smooth and accurately. 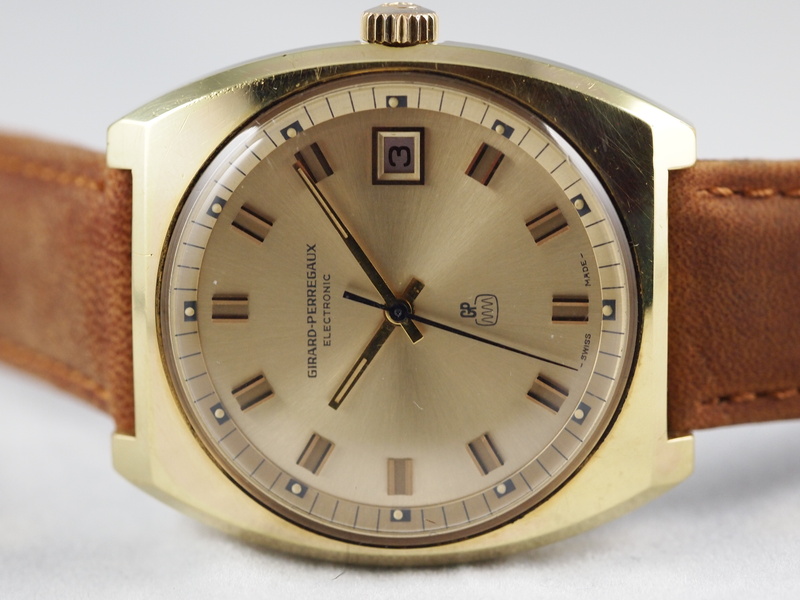 All together it is a wonderful watch from the 70s. 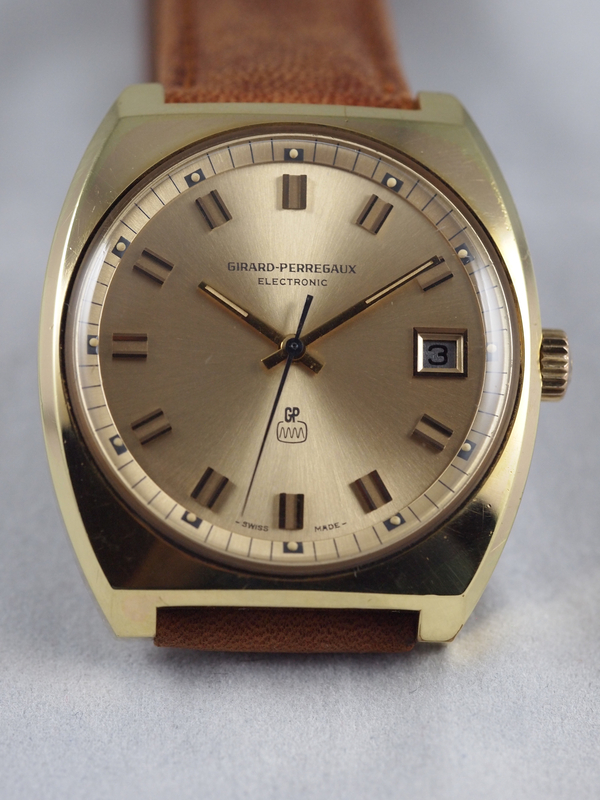 The case and dial are in phenomenal condition and the faded brown band helps to complement the watch without further accentuating how gold, clunky, and 70s it is as a gold band would have done. 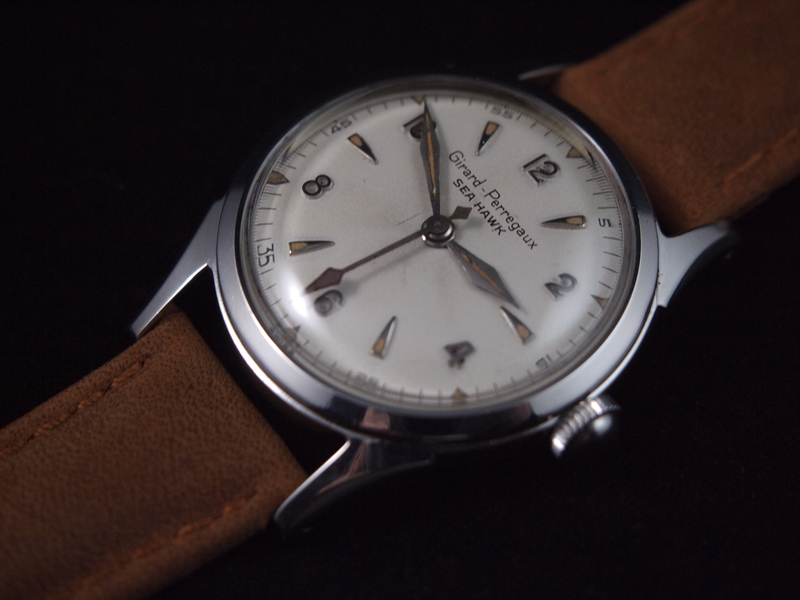 Although this is from a time when Girard Perregaux was not yet the brand it is today, it is still a great looking, well made, and accurate runner and a great piece of Girard Perregaux and horlogical history.